It it is hard to believe that it has already been nearly five years since the passing of our friend, Jack Layton. Jack taught us through love, hope and optimism that together we will change the world. 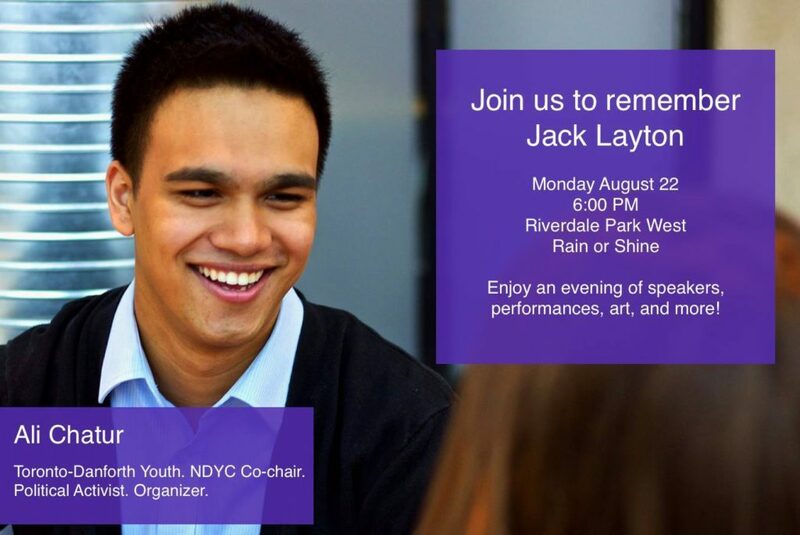 It is with this legacy in our hearts that we are inviting you to the Jack Layton Memorial to celebrate Jack and the future of progressive activism in Toronto and beyond. Monday, August 22 from 6:00 – 9:00 p.m. Speakers and other exciting event day announcements will be released on the Facebook event page. Please RSVP to our eventbrite page organizers know how many people to expect.